Mouse colon cancer cells can fuse with macrophages, leading to changes in tumor growth. WIKIMEDIA, RAMAMacrophages are usually the body’s protectors, engulfing pathogens and cleaning up dead cells and debris. But in some cases, cancer cells fuse with these immune cells to possibly become even more harmful, according to a poster presented yesterday (December 15) at the American Society for Cell Biology Annual Meeting in New Orleans. The researchers demonstrated that macrophages and mouse colon cancer cells spontaneously fuse when cultured together and noted altered growth in the hybrid cells compared to ordinary cancer cells, prompting speculation that hybridization could spur cancer progression. “The methodology is rigorous,” said Alberto Mantovani, an immunologist at the University of Milan’s Humanitas Research Institute who was not involved in the study. But he added that the cells fused in culture, not within mice. “We need to know whether this is real in primary tumors,” he said. “I think it’s interesting if it’s true,” said Zihai Li, a cancer immunologist at the Medical University of South Carolina who was also not involved in the study. However, he noted that it remains unclear how important cell fusions are in human cancers. German biologist Otto Aichel first proposed that cancer cells and white blood cells such as macrophages could fuse in 1911, according to John Pawelek, a cancer biologist at the Yale School of Medicine who studies cell fusion. Aichel hypothesized that hybrid cells would have both the proliferative powers of cancer and the migratory properties of white blood cells. The qualities that allow white blood cells to spread throughout the body could help cancers to metastasize. Research since Aichel’s time has given tantalizing hints that immune cells do fuse with cancer cells. Nevertheless, “people are still skeptical,” that the mergers take place, said the poster’s lead author Alain Silk, a postdoctoral cancer cell biologist at Oregon Health and Science University. Silk and colleagues cultured mouse colon cancer cells alongside macrophages, equipping the cells with fluorescent markers to track whether the two cell types merged. Silk was surprised to see that a small proportion of cells did indeed fuse. “When I initially decided to do this I thought, ‘I’m going to disprove this idea,’” he said. Hybrid cells—made up of female cancer cells and male macrophages—also had elevated chromosome numbers and combinations of X and Y chromosomes that indicated fusion had occurred. Silk soon noticed a difference between parental cancer cells and the hybrids: While the original cancer cells growing at high density tended to lose adhesion to the plastic of the culture dish and clump together, the hybrid cells continued to stick to the dish’s bottom even at high density. 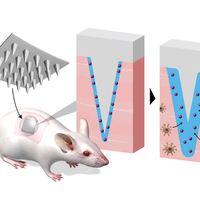 Ultimately, the researchers grew the cells in 70 distinct microenvironments and confirmed that hybridization led to altered adhesiveness in some situations. The hybrid cells expressed some genes from each parent, as well as some genes expressed by neither parent cell. Next, Silk’s team exposed the hybrid cells and their parent cells to cytokines, cell-signaling molecules that modulate immune system activity. In the presence of some cytokines, the hybrid cells showed a growth advantage. 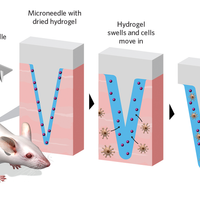 Finally, Silk and colleagues injected the hybrid cells into mice. They formed tumors that grew faster than tumors grown from non-fused cancer cells. It’s less clear which phenotypes of fused cells, if any, will be relevant in human cancers. One study, published earlier this year by Pawelek and colleagues, indicated that bone marrow-derived cells and cancer cells had fused in a human melanoma patient. The patient had undergone a bone marrow transplant to treat a prior cancer, and the telltale sign of fusion was that tumor cells had the genetic background of both the patient and the bone marrow donor. But it is generally difficult to determine whether human tumor cells, which often have elevated chromosome counts regardless, are the products of cell fusion. Still, the idea that fused macrophages and cancer cells could play a role in human cancer is compelling. 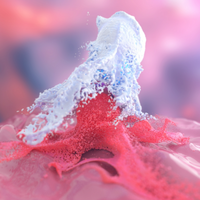 For one thing, “macrophages have the inherent capacity for fusion, and tumors are chock full of macrophages,” Silk said. Cancer cells also have a tendency to merge with each other. 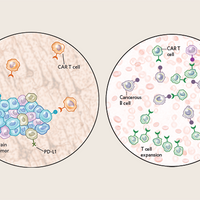 Tumor-associated macrophages have already been shown to promote cancer by secreting signals that spur cancer progression, independent of any cell fusion events. 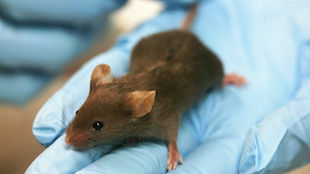 Silk says that he and colleagues are now studying the hybrid cells’ behavior in the mouse bloodstream to see if they show enhanced abilities to survive in the circulatory system, exit blood vessels, or establish themselves in foreign tissues—all qualities necessary for metastases to take hold in new areas of the body. “We think there should be more attention paid to [cell fusion] as another potential way that tumor cell evolution can happen,” Silk said. A.D. Silk et al., “Spontaneous fusion with macrophages alters cancer cell phenotypes,” American Society for Cell Biology Annual Meeting (poster), 2013.